The ideal window replacement for your home or business in San Francisco and the Bay Area is a perfect blend of beauty and functionality, of durability and design. The ideal San Francisco window allows plenty of light or ventilation but closes easily and securely when needed. Styles include horizontal and vertical sliding windows, casement windows, garden windows, bay and bow windows, special shapes, louver windows, and acoustic windows. When choosing a window replacement, select from an array of architecturally pleasing designs in solid wood, low-maintenance vinyl, or San Francisco climate-stable fiberglass with high efficiency double or triple pane glass and reflective coatings that protect the interior of your San Francisco home from damaging UV rays while saving energy and keeping you comfortable. 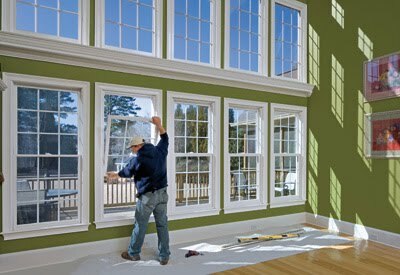 Replacement windows for San Francisco structures come in so many different colors, styles, and features, it helps to employ the expertise of someone familiar with the various features and efficiency characteristics of the latest replacement window designs. Whether your primary consideration is the amount of light, efficiency, security, architectural beauty, or simply economy, we can guide you through the confusing array of choices to find the best replacement windows to suit your taste and your budget. Whatever replacement windows you ultimately choose for your San Francisco home or business, the most important factor with any new windows is the quality of the installation. Installation matters more than design, efficiency, or even price. Even the best replacement window will yield poor service if not properly installed. A quality installation may take more time and effort but will pay for itself many times over. A good installation by a qualified and trained San Francisco technician will give you the greatest comfort, highest efficiency, and longest life span for your new replacement window. Let our experienced San Francisco window professionals help you choose ideal window solutions that offer the highest quality, beauty, and value for your home. Call today for a free design consultation.